Rakhat Joint-stock company is one of the largest manufacturers of confectionery products in Kazakhstan, which has been leading its history for 75 years. The first production of confectionery was organized in 1942 in the distillery facilities, on equipment evacuated from Moscow and Kharkov during the war. About 4 500 people work for Rakhat JSC. Production facilities are located at two sites in Almaty and Shymkent. Universal nature of production, its scale and the availability of its own line for the processing of cocoa beans allow the company to have the widest range of confectionery products among domestic producers. Today the brand portfolio of Rakhat JSC includes more than 400 items of various confectionery products belonging to 14 different groups. Rakhat JSC is the only confectionary enterprise in Kazakhstan that has developed the production of special products for people with diabetes. This range includes several names of chocolate, sweets, cookies and wafers with lowered caloricity and sugar substitution for an equivalent natural raw material. A distinctive feature of the products of Rakhat JSC among other Kazakhstan manufacturers of confectionery products is the priority production of chocolate products, which is very diverse. The internal quality system based on shared responsibility and an integrated quality control system is organized and operates at the enterprise. This system includes quality control of raw materials and products at each stage of production. The enterprise has introduced and certified a quality management system since 2013. 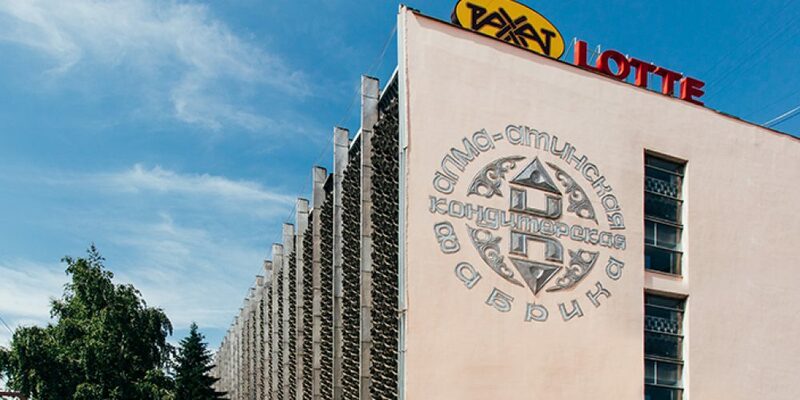 In 2018, the Almaty branch of the Management Systems Conformity Assessment Body “National Center for Expertise and Certification” JSC conducted an inspection audit that confirmed the compliance of the quality management system with the requirements of СТ РК ISO 9001-2016, and issued a certificate of compliance № KZ.7500318.07.03.00457 valid until 22.06. 2019 year. The primary motive behind the introduction of this system was the adoption and implementation of the technical regulations of the Customs Union ТР ТС 021/2011 “On food safety” which regulates the requirements for ensuring food safety through risk analysis and critical control points. The implementation of the HACCP system in Rakhat JSC has confirmed and clearly demonstrated compliance with the established and legislative requirements in the field of food safety. In order to increase energy efficiency, Rakhat JSC developed and certified the energy management system ISO 50001: 2011 in 2011. Certification Authority ASTRAIA Certification, s.r.0., Mosta 13,949 01 Nitra, Slovakia issued certificate No. EnMS-2354-2014 valid until 06.11.2017. The introduction of the system will allow Rakhat JSC to reduce energy consumption by the enterprise by an average of 7-13% due to: elimination of identified irrational energy losses and realization of the operational potential of energy saving; introduction at the enterprise of a system for calculating and planning norms for the consumption of energy resources; development of the company’s energy rating certificates; regulation of atmospheric pollutant emissions from energy activities and improvement of the internal environment. Since 2016 Rakhat Joint-Stock Company has received the right to produce products that meet the requirements of Halal. “Halal Industry of Kazakhstan” Association has confirmed compliance to the Halal standard with 186 products of Rakhat JSC such as chocolate, sweets, caramel, biscuits, iris, wafers, as well as semi-finished products of chocolate production. Association experts carried out an inspection of all production stages of Rakhat JSC, including Shymkent production site. A careful analysis of the documentation for raw materials and ingredients for the production of confectionery products was carried out. Our products are well known both in the domestic market and in the markets of near and far abroad. Rakhat JSC carries out a policy of maximum availability of its products in the domestic market. Sales geography of Rakhat JSC covers the whole Kazakhstan, since the company has distribution systems in 18 cities, including 14 regional centers. Products distribution in Almaty is carried out through large wholesale buyers, as well as through branded retail stores. The availability of the products of Rakhat JSC in other regions of the republic is ensured by the creation of a wide distribution network (branch organizations) that sell high-quality branded products. Currently, the products of Rakhat JSC are not only on the Kazakhstan market, but also far beyond the borders of the republic – on the territory of Russia, Belarus, Azerbaijan, Uzbekistan, Turkmenistan, Kyrgyzstan, Tajikistan, Germany, China, Afghanistan, Mongolia. In the future, following interest in the products of Rakhat JSC from other CIS countries and far abroad, the company plans to increase overall production and expand markets by export development. Every year the enterprise creates new workspaces. The stability of production is achieved and steady salary growth is observed. Production relations with staff personnel are built on the basis of the Collective Employment Agreement between employees and the employer, all requirements of the Labor Code of the Republic of Kazakhstan, including the requirements of safety and labor protection are enforced. Conditions that allow full and productive work for the company’s personnel are created. The canteen with the provision of hot meals for workers of the first, second and third shifts is operated, the medical unit with the doctors of higher category is available. In a systematic manner training and skills upgrading of professionals are conducted, courses on the state language are organized. In 2013 the leading confectionery company of South Korea LOTTE Confectionery acquired the main shareholding of Rakhat JSC. In 2019 LOTTE Confectionery, acquiring the outstanding shares of Rakhat JSC, increased its share to 95,5656%.